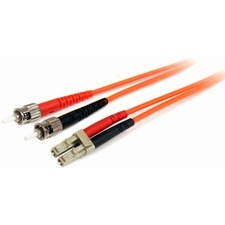 Tripp Lite's 3-meter multimode duplex fiber optic LC/SC patch cable is manufactured from 50/125 zipcord fiber. 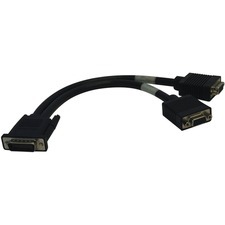 The cable has SC connectors on one end and LC connectors on the other. It has a PVC jacket and is FDDI and OFNR rated. 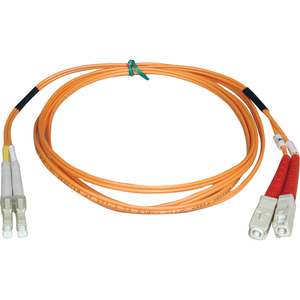 Duplex multimode fiber is most commonly used in fiber and Fibre Channel applications.